UFO SIGHTINGS DAILY: White UFO Seen On Live NASA Space Station Cam, Sep 20, 2018, UFO Sighting News. 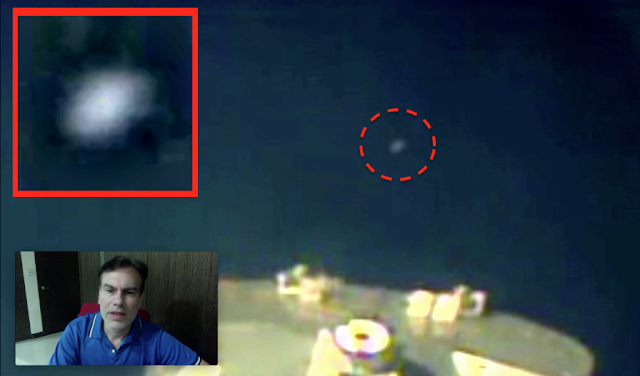 White UFO Seen On Live NASA Space Station Cam, Sep 20, 2018, UFO Sighting News. I was watching the NASA live space station cam looking for UFOs when I spotted this little guy. A white disk moved over the space station. It was small so I'm sure NASA didn't notice it, otherwise they would have gone to blue screen to hide it. The UFO passes the space station, but at a great distance, as if it didn't want to be noticed by the astronauts.